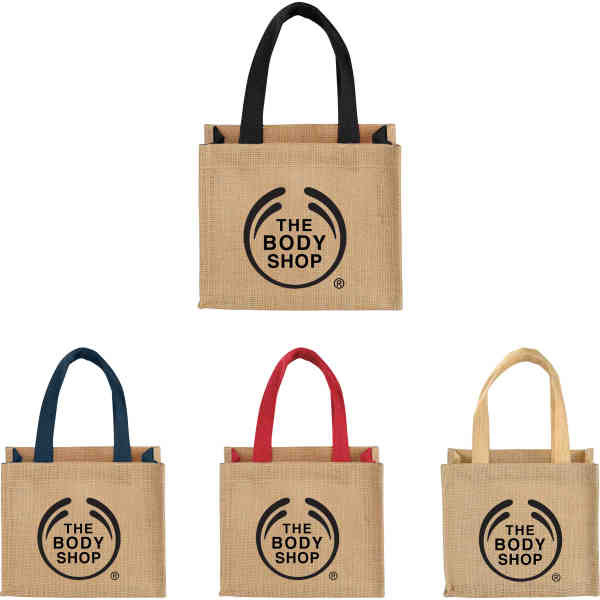 Imprint Method: ColorPrint - The Mini Jute Gift Tote has an open main compartment with double 12.5 inch handles. Disclaimer: Minimum of 32pt font size. Bold artwork only. No fine graphics or text. Size: 5.25 " x 6.5 " x 7.75 "